Once again longtime supporter, Heather Waddell has given us a challenge and we need your help! When we approached Heather about the need for the kennels for AARCS Safe Haven & Veterinary Hospital, she said she was willing to donate half the costs – ($20,000) IF we can raise $20,000. So for every $1 you donate, Heather will donate $1. $20,000 can be daunting, so we thought we’d have some fun while raising these much-needed funds. 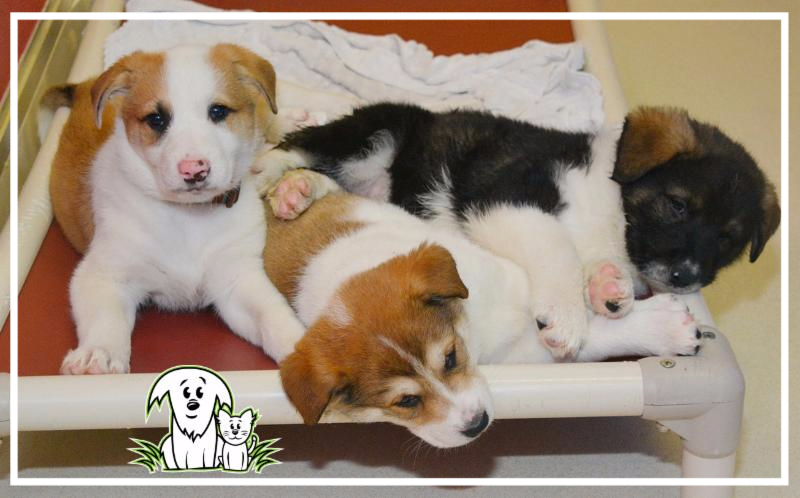 In order to unlock each kennel below, we need to raise $1,000 – 20 times! When we reach $1,000 increments the kennel door will open and reveal a surprise video, story and a giveaway! Your name will be entered into a draw for a “Door Prize,” which will be drawn from the names of those donors who have donated towards that kennel. Donate again after each kennel door is opened and be entered to win again! Meow Luau Cat Adoption Special! 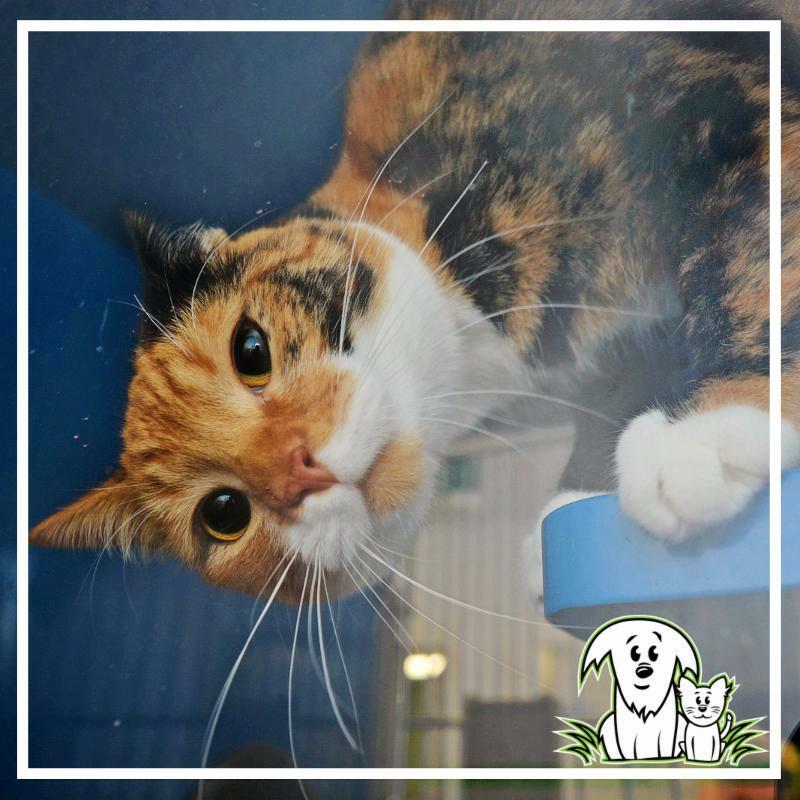 The Alberta Animal Rescue Crew Society (AARCS) currently has over 400 cats in care. The time to adopt your new feline is meow! We are despurrrate to help them find loving forever homes as the calls for cats in need keep coming and we are running at full cat-pacity! For the MONTH OF AUGUST, we are hosting a Meow Luau Cat Adoption Special! Download 2018 Calendar Advertising Form here! We are pleased to announce that Dr. Wendy Drohan will be starting with AARCS as our Veterinarian in AARCS Veterinary Hospital on May 15th, 2017. Dr. Drohan comes to us with 21 years’ experience as a primary care veterinarian and a wealth of experience with companion animals. Dr. Drohan loves working with animals and is looking forward to combining her passion for animal welfare and the homeless animals with her love for veterinary medicine. She is an experienced surgeon and takes pride in keeping up-to-date on the latest advances in veterinary care. Dr. Drohan has been working with AARCS’ animals at one of our partner clinics and is a primary veterinarian for the Alberta Spay Neuter Task Force where she volunteers her time. Please join me in congratulating and welcoming Dr. Wendy Drohan to the team. In addition, we are pleased to announce that Jessica Perillo will also be starting at AARCS as a RVT (Registered Veterinary Technologist) in AARCS new Veterinary Hospital starting on May 15, 2017. 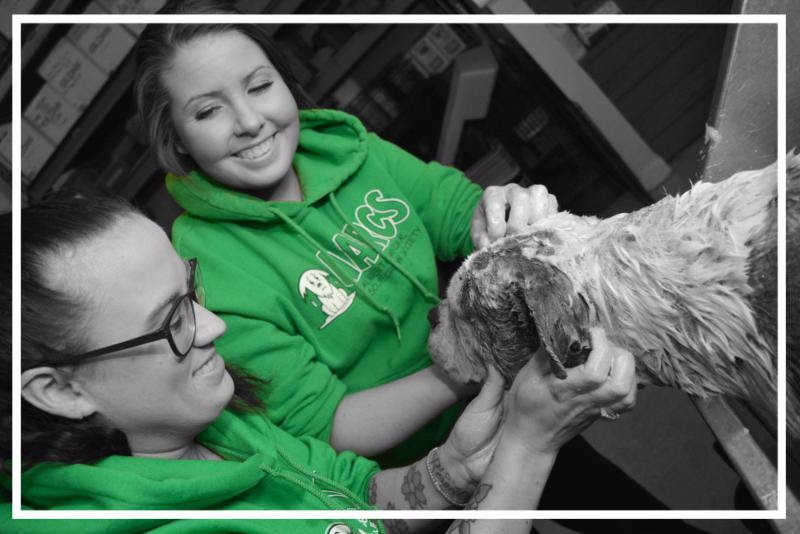 Jessica started her career as a veterinary assistant with small animals and exotics in Ontario in 2004, and has been working in the veterinary field ever since. She relocated to High River in 2008 where she continued to gain experience working in various areas of a veterinary clinic, and attended Old’s College, graduating as a RVT in 2012. Jessica comes with a wealth of experience and dedication to animal welfare. Jessica is a current foster home for AARCS and has been a long-­‐term volunteer with the Alberta Spay Neuter Task Force working on their medical team. Please join me in congratulating and welcoming Jessica to the team. Should you have any questions please feel free contact me. We want you to come for a sneak-peek at the new AARCS facility so that you can see where your donation is going and how it will help more animals now and for years to come! What do you say?! NEW AARCS HOME + VETERINARY CLINIC SNEAK-A-PEAK! APRIL 1, 2017 between 11am – 3pm, THIS SATURDAY! We will be doing guided tours throughout the day to show you around! In addition, we’re planning a grand opening during the second quarter of 2017 and we hope you will be able to join us on this joyous occasion. CHECK OUT THIS TRANSFORMATION SO FAR! Long time supporter of animal welfare initiatives and dedicated donor, Heather Waddell will DOUBLE YOUR GIFT to help CHANGE THE LIVES OF ANIMALS! She has generously committed to MATCH your donations up to $20,000! This means that for every DOLLAR you DONATE, AARCS will get $2! This will get us to our GOAL OF $40,000! Your contribution will help fill our NEW AARCS’ VETERINARY HOSPITAL with essential life saving equipment! DOUBLE YOUR IMPACT with YOUR DONATION! Dr. Audrey Remedios, who is a long time supporter and incredible veterinary surgeon has proposed an offer to help AARCS raise funds. She has committed to match your donations up to $10,000. This means that for every dollar you donate, AARCS will get $2! This will get us to our goal of $20,000 to purchase surgical lighting for our NEW AARCS VETERINARY HOSPITAL!!! You can light up an AARCS animals’ life by contributing to the cost of the surgical lighting for our new Veterinary Clinic. Animals just like Bronco, who required an orthopedic surgery as a result of massive trauma after being hit by a car. This left Bronco with a fractured hip which was very painful and caused him to ‘hop’ from pain and discomfort as he walked. By helping AARCS to acquire professional surgical lighting for our clinic, this type of surgery can be performed in-house saving us enough to do twice as many life changing surgeries! Please consider giving a donation below to help us provide surgical lighting for animals in need of extensive veterinary care in our new Veterinary Clinic! Join Our Valentine’s Day Challenge! WE HAVE REACHED OUR $6,000 GOAL FOR OUR VALENTINE’S DAY CHALLENGE! Total has been added to our over-all Capital Campaign! We need to purchase two Heart Rate Monitors for our new Veterinary Hospital at a cost of $1,500 each. Cheeko is just one of over 100 animals that AARCS has taken into care so far in 2017. It is incredibly important to AARCS to provide the highest standard of care to each animal brought into our programs. To minimize risk while animals under-go anesthesia for surgery, all animals are monitored closely using tools such as heart monitors. This is where we could really use your help! Don’t let their rescued hearts skip a beat this Valentines! Contribute to the AARCS Doppler Fund (Heart Rate Monitor) for our AARCS Veterinary Hospital! We hope to raise $3,000 in ONE DAY! WOW! A GREAT BIG SHOUT OUT to the Spindler Family for covering the cost of our two heart rate monitors! We would like to CHALLENGE everyone to help us by MATCHING THEIR DONATION bringing our NEW Valentine’s Challenge up to $6,000! This will cover the cost of a multi-monitor which will manage all the other vitals! Every dollar makes a difference and will help us save the lives of so many animals who need us the most! *Any funds raised above and beyond this amount will go towards our over-all Capital Campaign fund. We would like you to meet Cheeko! “Hi there! The name is Cheeko! 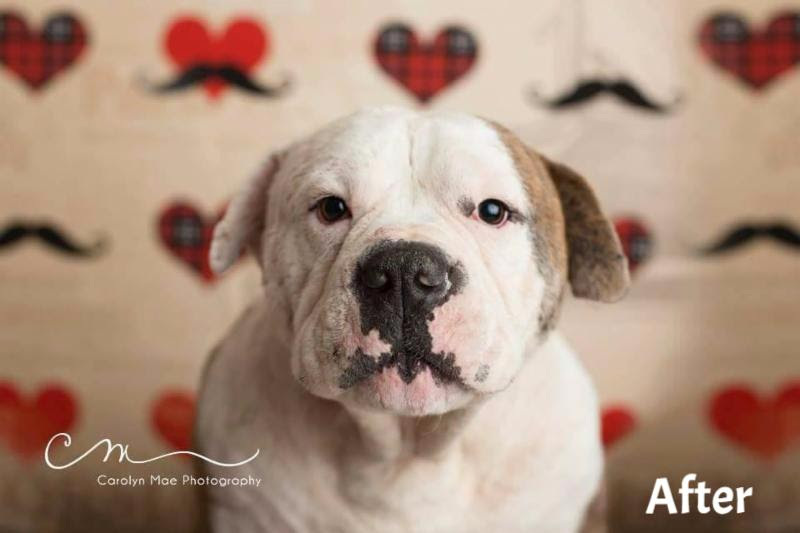 When AARCS asked me to share a few words for their Valentine’s Day newsletter, it made me blush. AARCS rescued me at the beginning of January 2017 and I won’t lie, I was in really ruff shape. You know, I came from a place where dogs don’t really stay in the house. Instead, they stay outside and fend for themselves, like wild animals, which sure wasn’t easy. Please don’t be fooled by the way I look – all big and buff – ‘cuz deep down I am as soft as an ice cream cone. Really, I swear! In fact, I was the dog that the other neighborhood dogs picked on and bullied every day. 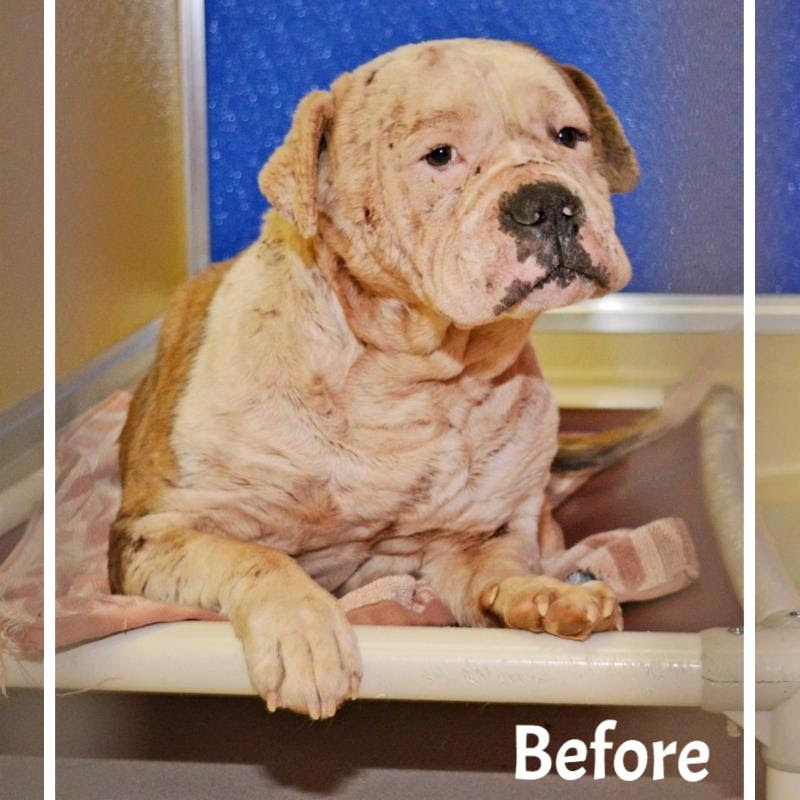 When my rescuers came along, they found me pretty beat up with open sores and old scars all over my body. I wasn’t a pretty sight at all and I wasn’t having much fun, but it was all I had ever known. Cheeko required more than just routine medical care such as vaccines, dewormer, microchip and neuter. This big fella required antibiotics and medicated baths for his open sores and skin infections as well as dental surgery to remove multiple fractured teeth due to past trauma. 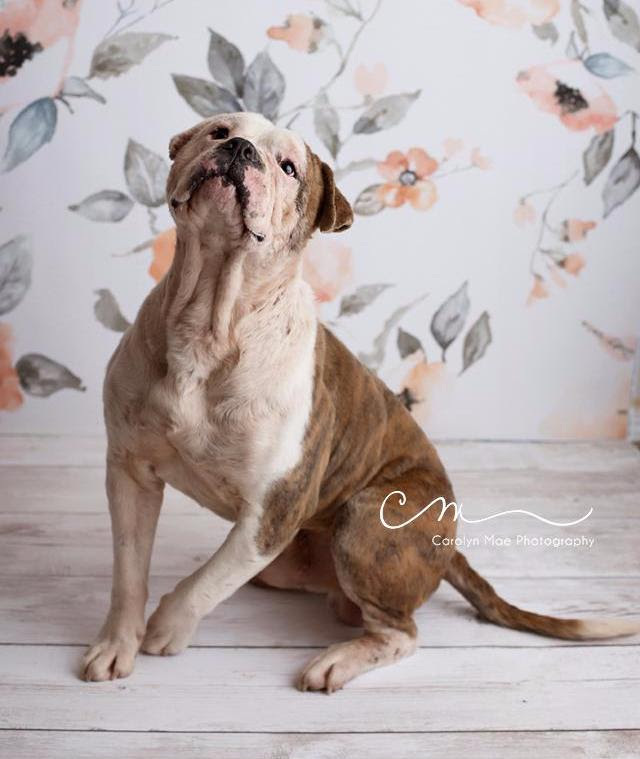 We are so grateful to be apart of his journey, including his rescue, rehabilitation and helping him find his forever family. Your kindness is going to allow us to help thousands of homeless animals in Alberta in 2017.